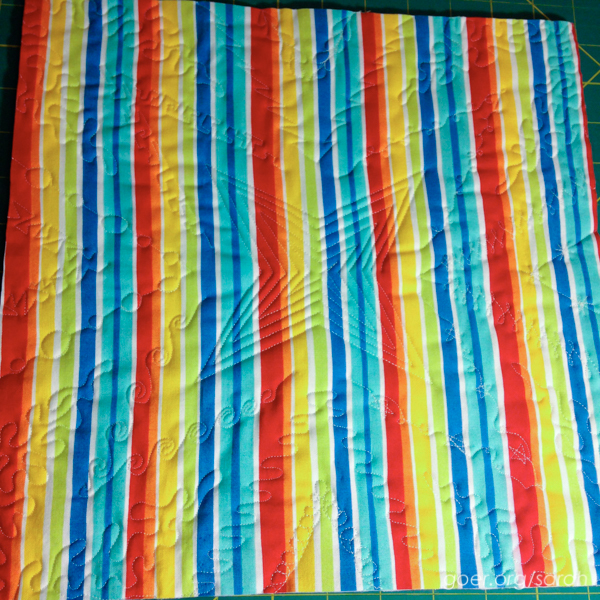 Here is my second entry for the Blogger's Quilt Festival over at Amy's Creative Side. 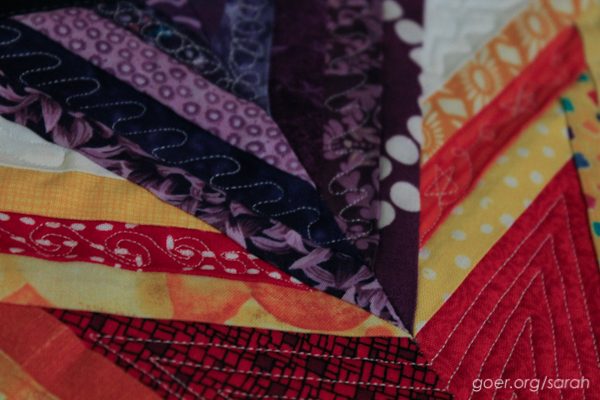 Ironically, both are paper-pieced mini quilts that I've given away. 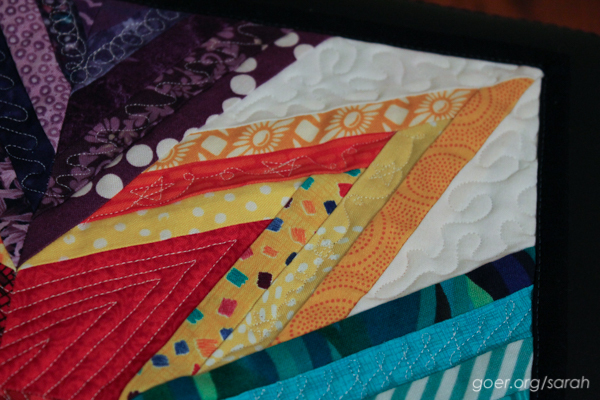 My Blogiversary Scrap Attack mini quilt was made as a giveaway on my blog to celebrate my 1st anniversary of blogging. I think there are 68 unique fabrics (many from my 1.5" and 2.5" strip scraps) on this 12" by 12" mini quilt. It's paper-pieced from the Scrap Attack pattern by Diane and From Blank Pages. I'm entering this into the Scrappy Quilts category. I had a lot of fun quilting it with a bunch of different patterns. 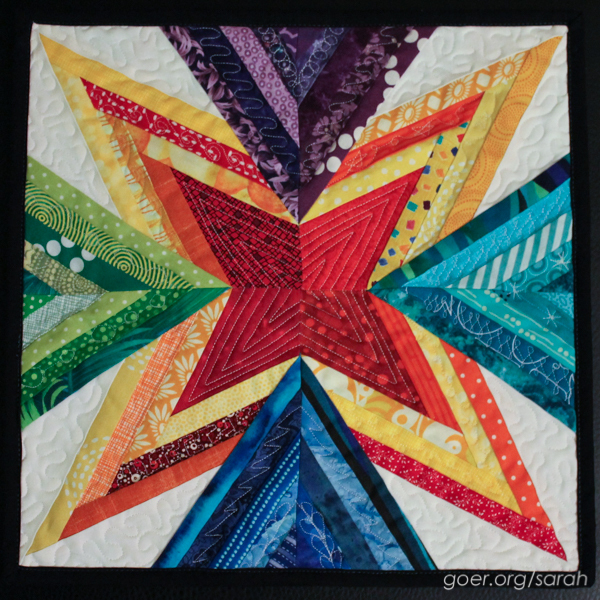 Posted in Quilting on May 22, 2015 by sarah. I love both the front and back to this little guy! 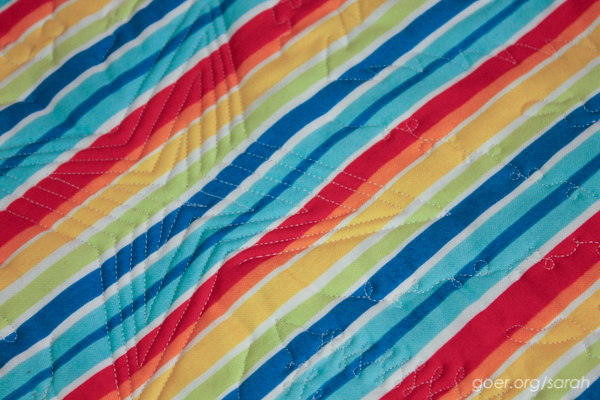 Great fabrics pulled from the scrap bin and that quilting gives the back such a fun happy time carnival feel. Good luck with your entry, there are so many amazing pieces entered into the festival this year! Thanks Terri Ann. I've started working my way though the categories and I've decided I need more than three votes! So much awesome! Thanks for visiting. Great mini Sarah and good luck in the quilt festival! I think I need to make a few minis myself to develop my very new fmq skills! I've been making a bunch for IG swaps. They are such a nice size to push yourself to try something new. I've done my first dense free motion quilting, first flying geese, first raw edge applique, second (to relearn) paper piecing. And definitely a great place to play with free motion quilting. One of my upcoming mini quilts is destined to be graffiti quilted since I've just started that. 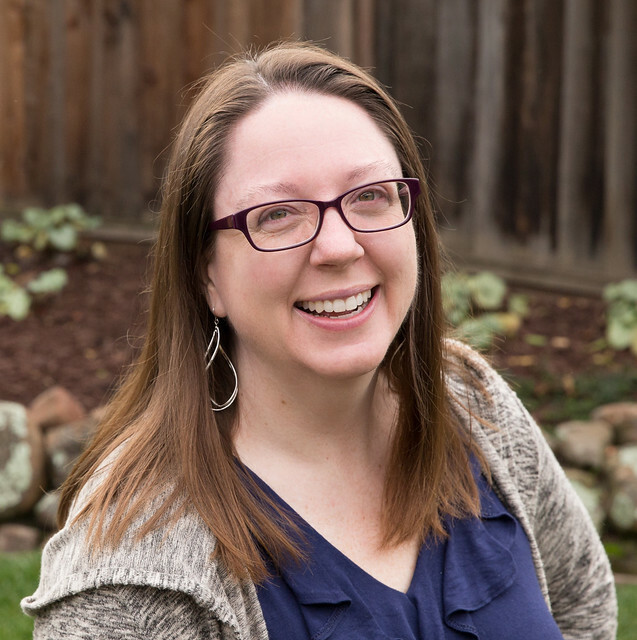 :-) Thanks for visiting, Deb. Such a fun quilt. I'm glad you shared it again.